More than 150,000 micro, small and medium enterprises (MSMEs) in Kenya will be able to accept in-store mobile payments using QR code technology in 2017, using Mastercard’s Masterpass QR platform. The service is set to be introduced through “various financial institutions and other partners” from this month. “The regional commitment to impact over 150,000 MSMEs in Kenya within 2017 is in support of the Mastercard global goal of connecting 40m micro and small merchants to its electronic payments network by the end of 2020,” the payment network says. Masterpass QR is currently being rolled out in Nigeria, Ghana, Rwanda, Uganda and Tanzania and “will soon be in a number of countries across the continent,” Mastercard adds. Pan-African banking group Ecobank signed a memorandum of understanding with Mastercard to roll out Masterpass QR mobile payments across 33 African countries in October 2016. 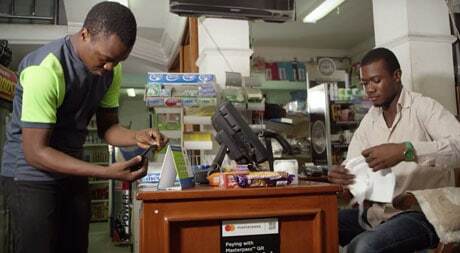 The Ecobank Masterpass QR service was launched in Nigeria in September last year. RBL Bank launched Masterpass QR in India in November 2016. The launch of Masterpass QR in Kenya follows the Central Bank of Kenya’s authorisation to allow six banks to launch a mobile money transfer platform set to rival Safaricom’s M-Pesa, according to a report by Business Daily Africa.